Borsch is so misunderstood. 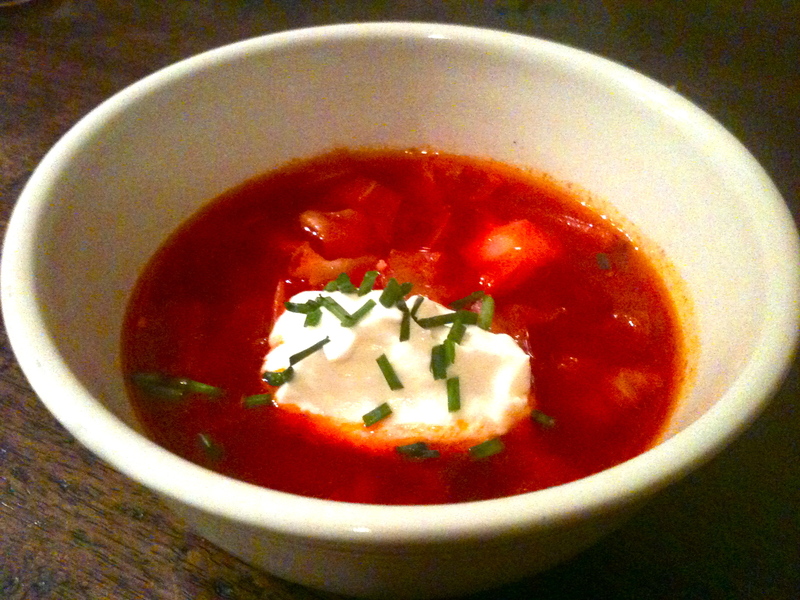 It’s a classic in Russian/Ukrainian cuisine, but despite my Russophile tendencies, I avoided borsch for years because I thought it sounded so…awful. But college is a time for experimentation, right? 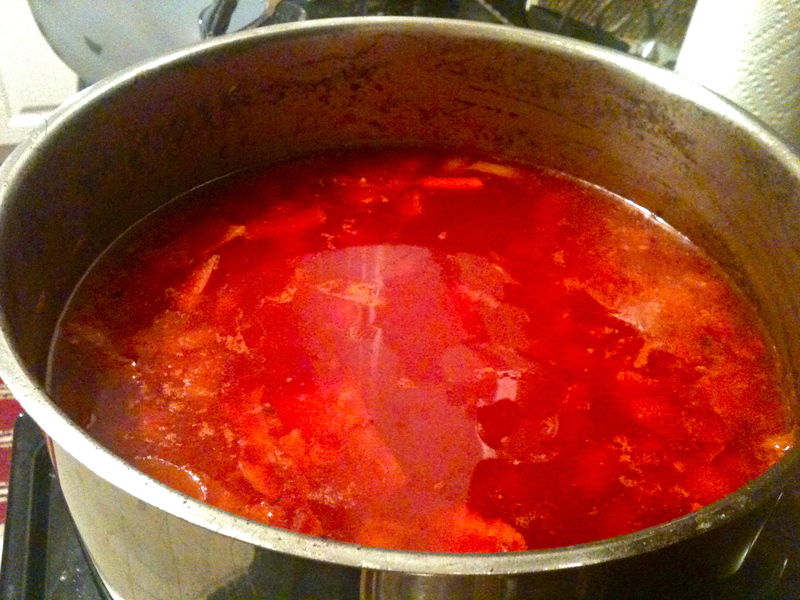 So during my senior year, I finally gave borsch a try, and it totally won me over! It’s a super hearty vegetable and beef stew that gets its characteristic garnet color from its most notorious ingredient: the beet. 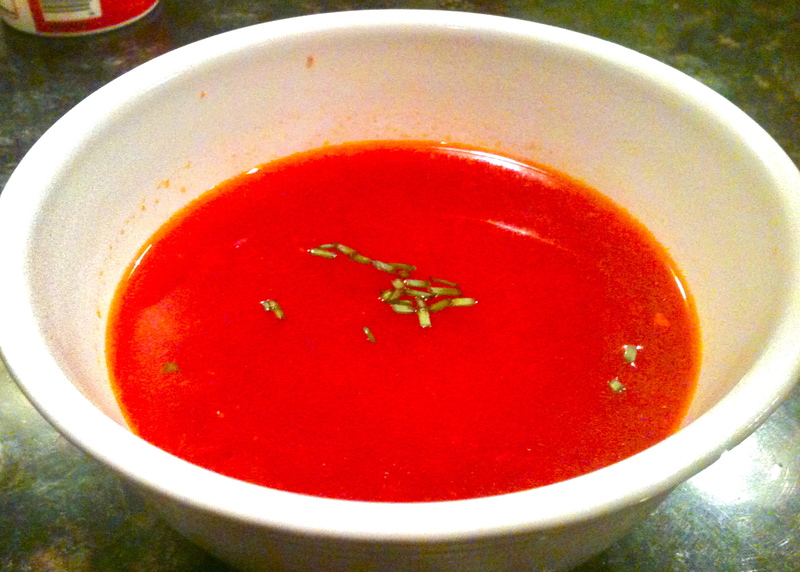 If you’re not a beet lover, you’ll probably still like borsch (it’s really good, I swear! 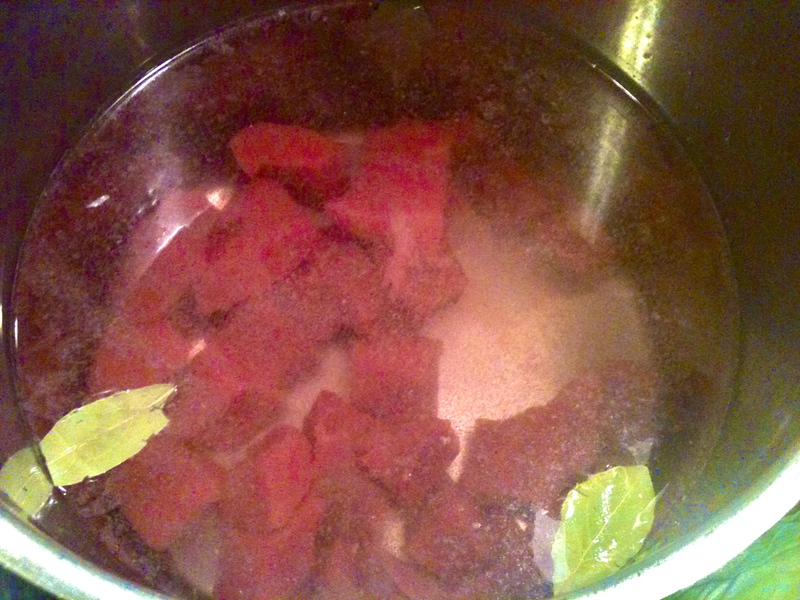 ), just make sure to puree the cooked beet and tomato mixture before adding it to the broth pot. Old-world peasant cooking at its finest! 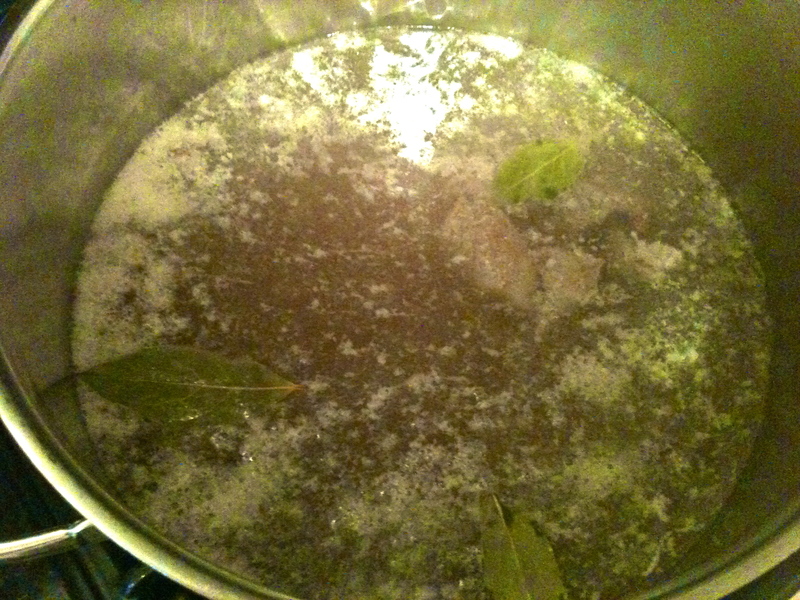 Fill a large pot or Dutch oven 3/4 of the way full with water and add beef and bay leaves. Bring to a boil. When boiling, turn down to medium low heat and simmer. Skim off the fatty, foamy impurities that rise to the top. 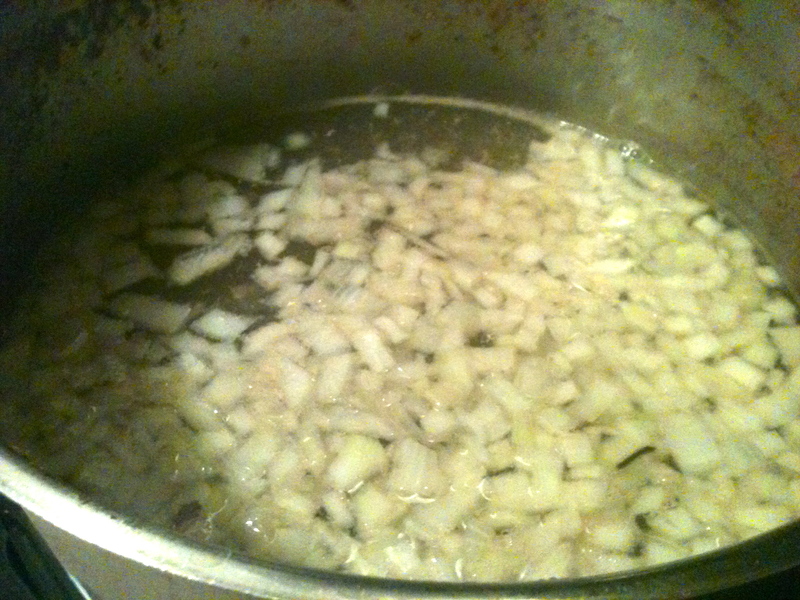 When you’ve gotten most of the fatty bits out of the broth pot, add the small onion. Cover and simmer for an hour. Then remove the bay leaves. Meanwhile, add butter or olive oil to a pan and heat over medium. 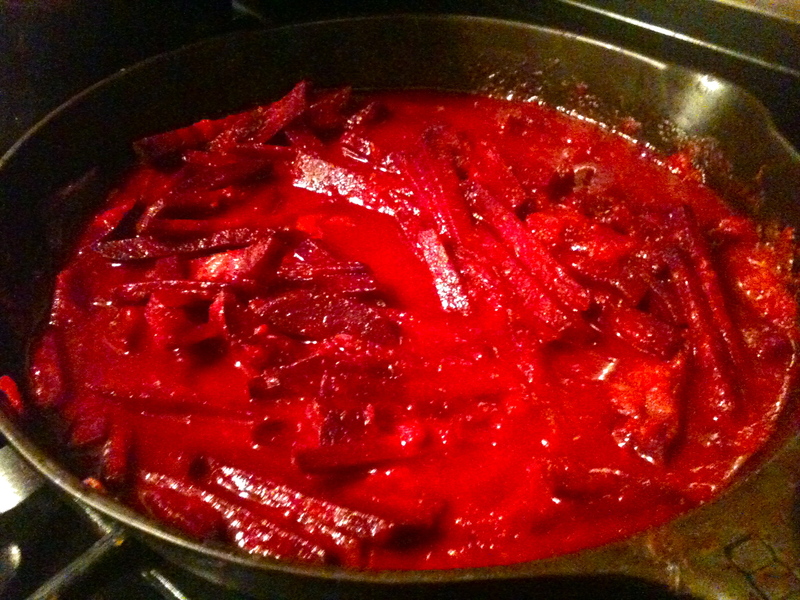 When hot, add beets, crushed tomato, and vinegar. Stir well and simmer for an hour. 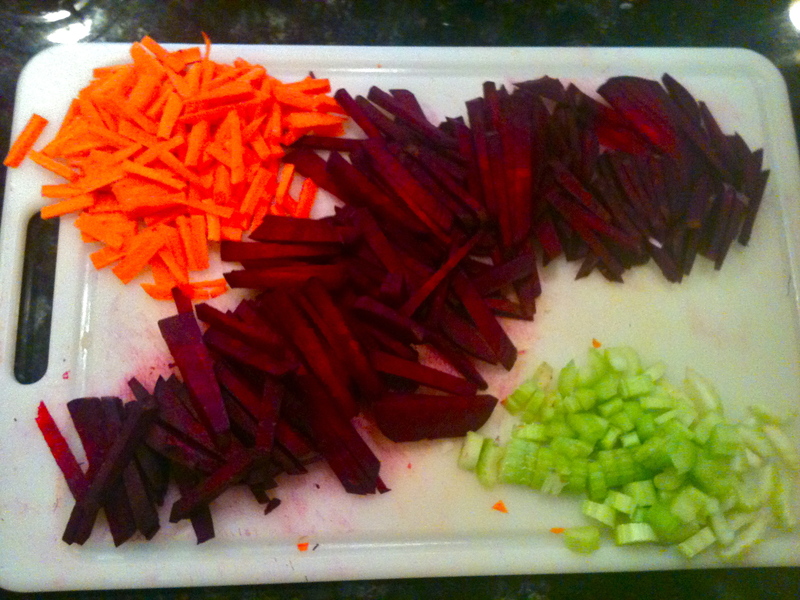 Fifteen minutes before the beets are done cooking, start the other veggies. 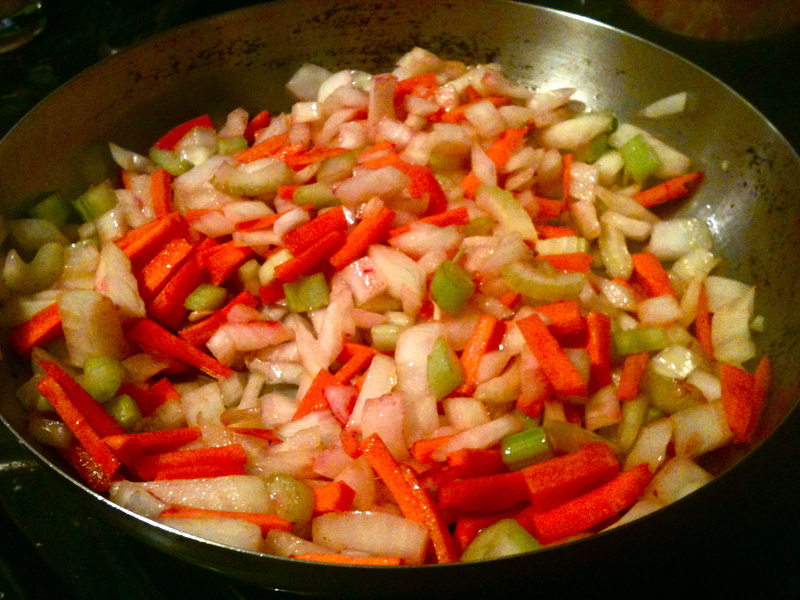 Heat butter or olive oil in another pan over medium flame and add large onion, carrot, and celery. Cook for 15 minutes. After you start the onion-carrot-celery mixture, turn up the heat on the broth and bring it back to a boil. 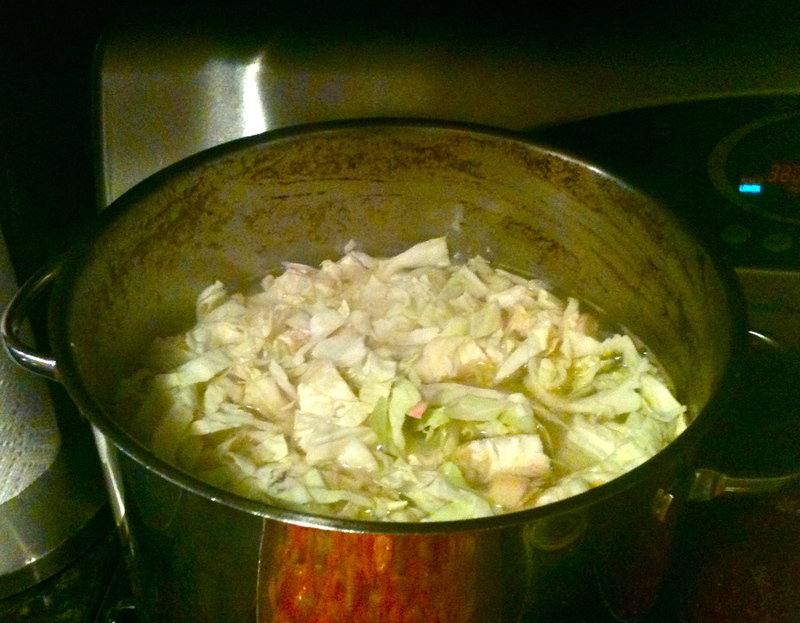 Add potatoes and cabbage to the broth pot. When the beets and tomatoes have finished cooking, add them to the broth, along with the sauteed veggies. Add salt, pepper, and garlic, stir well, and simmer for at least half an hour. Serve with a dollop of sour cream and garnish with fresh chives or dill. Priyatnogo appetita! Previous Butter and Herb New Potatoes. Next Sausage and Onion Tart. WOW!!!!! It’s amazing!!! Brilliant job!!! Now I’ll use your recipe! ;) – and I mean it!